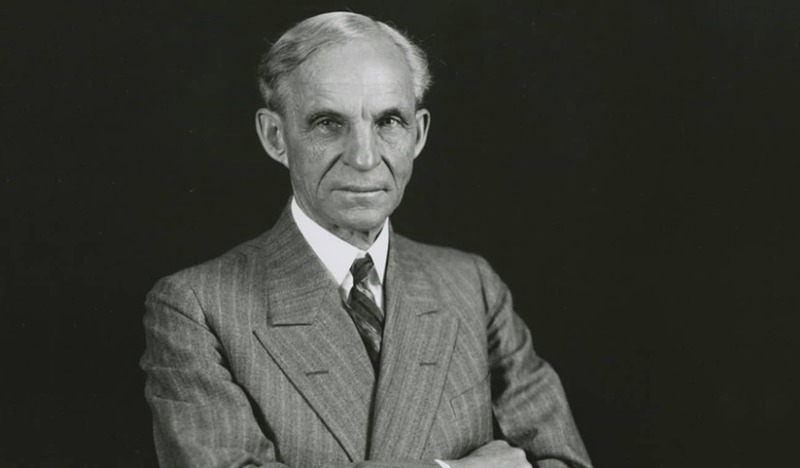 Raised on a Michigan farm, Ford grew up more interested in machines than crops and livestock. He began working as a machinist and was drawn to the newly developed internal combustion engine. This led to his tinkering together his first automobile, which, in 1899 spawned the Detroit Automobile Company (later the Henry Ford Company). 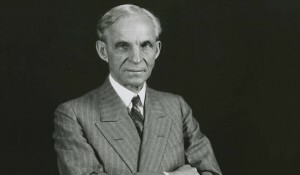 But it was in 1908, with the introduction of the Model T, that Ford began the simultaneous transformation of industrial production—indeed, the very nature of work—with the modern assembly line and the transformation of America: its habits of consumption, its manner of living, its culture, and its landscape. The widespread availability of private transportation in the form of affordable automobiles remade America from a collection of cities, isolated villages, and farms, into a new form of civilization networked by roads and driven by a new ethic of personal freedom.